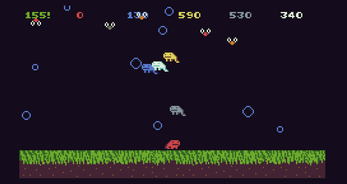 It is a competitive multiplayer game with frogs. To jump, press both button at the same time. The goal is to catch as much flies as possible. 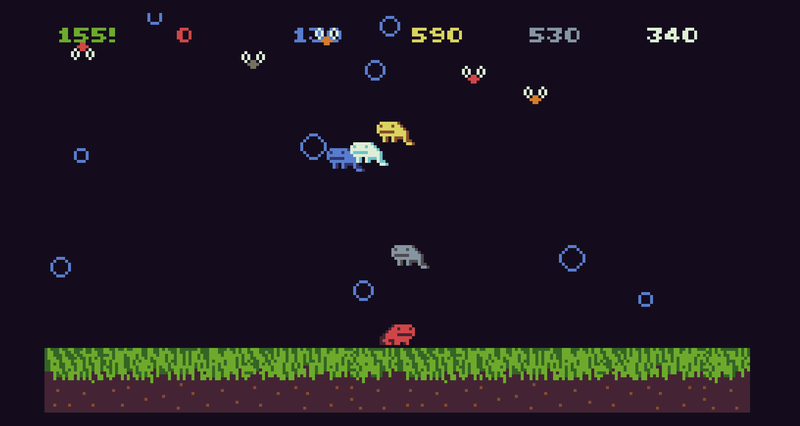 But be careful to not go out of the screen or you will loose half of the points you have collected with your frog. The final update to this game would be the remap the controls so that the game could be more practical to play on a keyboard.